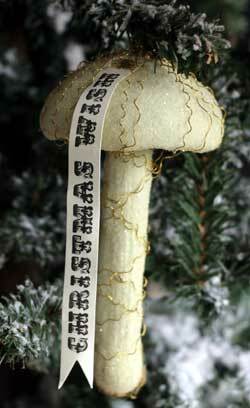 Stunning, unique mushroom ornament, with a vintage-style text tag reading Christmas Wish. Part of the Wendy Addison Collection. Emporer Penguin Ornament, by Seasons of Cannon Falls. 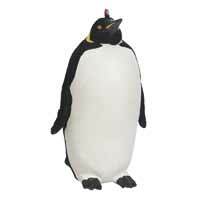 For our penguin lovers, a natural-looking resin Emperor penguin ornament. Measures 2.25 x 2 x 4 inches. Made of resin. 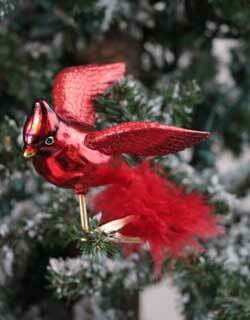 Silver Glitter Bird Ornament, by Seasons of Cannon Falls. 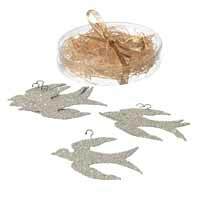 Sold individually (per bird). Measures 7 x 5 inches. 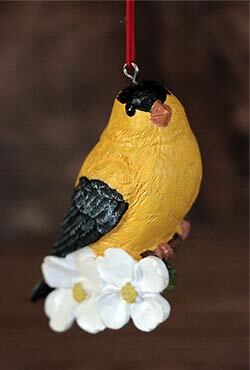 Gold Finch Ornament, by Seasons of Cannon Falls. 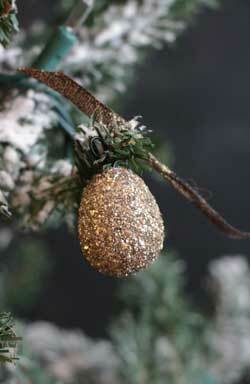 Natural-looking bird ornament, fashioned after a goldfinch. Part of the Livin Lodge Collection. Measures 2.5 x 1.5 x 2.5 inches. Made of resin. 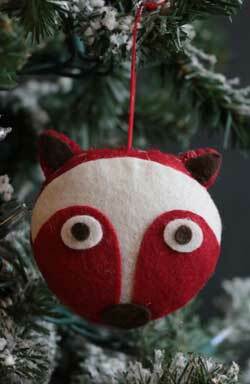 Mushroom Ornament, by Seasons of Cannon Falls. 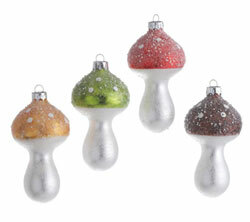 Small glass mushroom ornament, accented with white polka dots and clear glitter snow. Sold individually from the four different colors shown - Choose (from left to right) the Yellow/Orange, Green, Red, or Brown ornament. Part of the Glassworks Collection. Measures 2 x 2 x 3.25 inches. Made of glass. 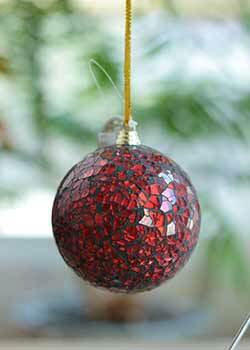 Add some glitz to your holiday tree with this glass ornament, in traditional red, but with a twist - mirrored glass is broken in shards and inlaid for a mosaid effect. 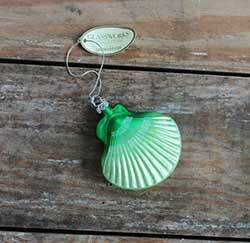 Retro Glass Ornament, by Seasons of Cannon Falls. 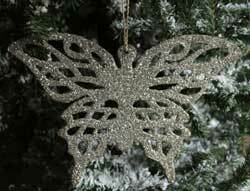 Shiny glass retro-style ornament, silver with aqua dot and white stylized snowflake. 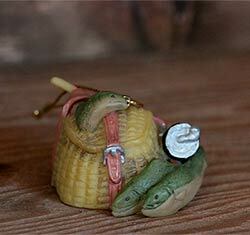 Measures approx 2.75 inches. Part of the 20 Below Collection. Made of glass. 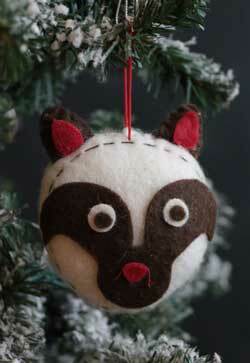 Retro Witch Eye Ornament, by Seasons of Cannon Falls. 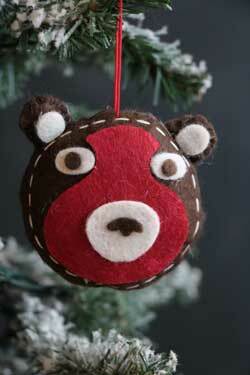 Sold individually (priced per ornament). 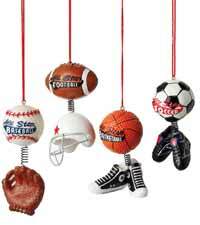 Choose the Left, Middle, or Right Ornament. Measures approx 3 inches. 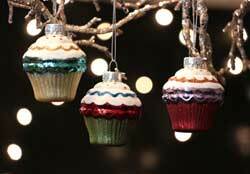 Part of the Holiday Cheer Collection. 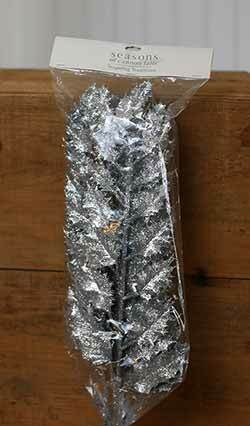 Silver Snowflake Ornament, by Seasons of Cannon Falls. 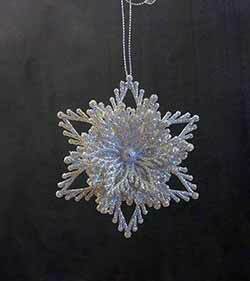 Super-glittery acrylic snowflake covered in silver superfine glitter! Sold individually from the two different designs shown - let us know in the comments section when checking out if you have a preference between the two. Measures 5.5 inches. Made of plastic. 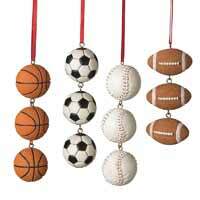 Snowball Ornament, by Seasons of Cannon Falls. 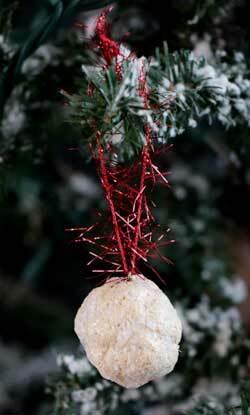 Small, old fashioned paper pulp snowball ornament covered in mica glitter and hanging from red tinsel. 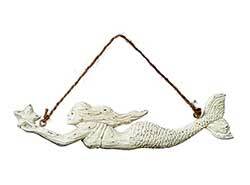 Part of the Nancy Malay Victorian Whimsies Collection. Measures 1.25 inches. 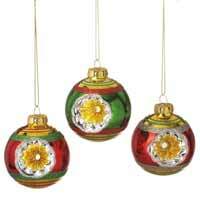 Sold individually (priced per ornament). Snowman Candy/Treat Jar, by Seasons of Cannon Falls. 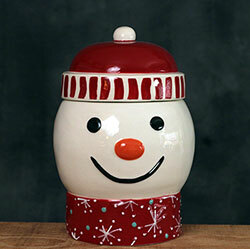 Adorable snowman treat jar in a palette of white, red, and aqua. Use this small canister for candies or cookies! Stands 7.5 inches tall. Part of the 20 Below Collection. Made of ceramic. 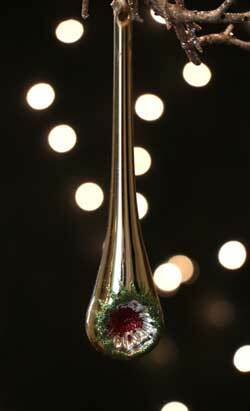 Spun Glass Icicle Ornament, by Seasons of Cannon Falls. 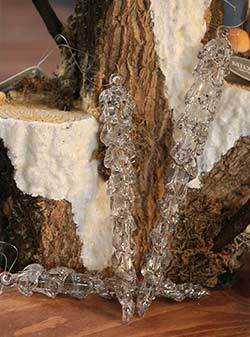 Sold individually from the three slightly different sizes shown in photo (priced per icicle). If you purchase more than one, we'll vary the sizes, as available. Part of the Frost Collection. Longest is approx 6.25 inches. Made of glass with glitter accents. Stackable Patterned Mug by Seasons of Cannon Falls. 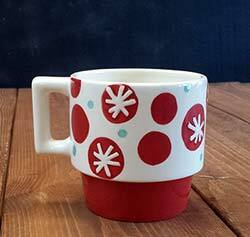 Adorable ceramic mug in a palette of white, red, and aqua, with a polka dot and stylized star/snowflake pattern. Stackable for easy storage! 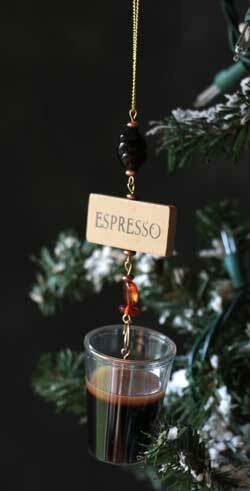 Sold individually (priced per mug). Measures 4.5 x 3.5 inches. Part of the 20 Below Collection. Made of ceramic. 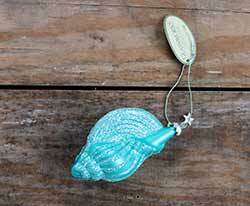 Swimming Mermaid Ornament, by Seasons of Cannon Falls. 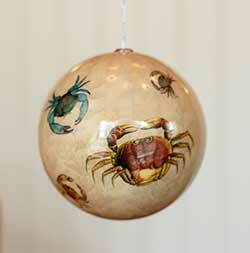 Part of the Seaside Holiday Collection. Measures 5.5 x .5 x 1.125 inches. Made of resin. 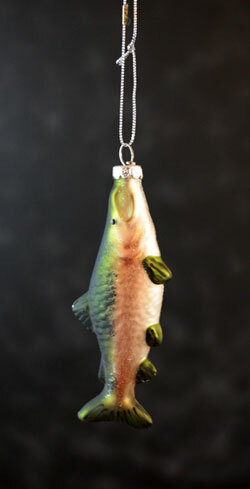 Tropical Fish Ornament, by Seasons of Cannon Falls. 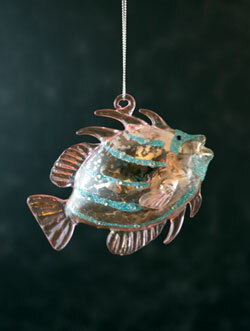 Mottled glass tropical fish ornament accented with turquoise glitter. Part of the Glassworks Collection. Measures approx 4.5 x 4 inches. Made of glass. 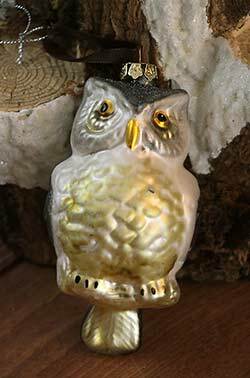 This white glass owl ornament also has shades of grey-blue and gem eyes! Part of the Livin Lodge Collection.